​FIFA have announced the monthly updated international rankings for all countries. The latest update sees ​India drop from 97 to 103 for the turn of the new year. The fall in the ranking is obviously due to India's group stage exit at the AFC Asian Cup in the UAE in the final moments of their clash against Bahrain. The Blue Tigers saw their aggregate points drop from 1240 to 1219, which directly resulted in six other countries moving ahead of them in the latest rankings. India jointly hold their 103rd spot with Haiti. Mauritania and Armenia are joint 101st ranked teams, just above the Blue Tigers. The Blue tigers moved to the 105th spot in 2017 after spending more than a decade of being ranked between 110 to 171. Following that jump, they ended the year 2018 with the 97th rank in world football. 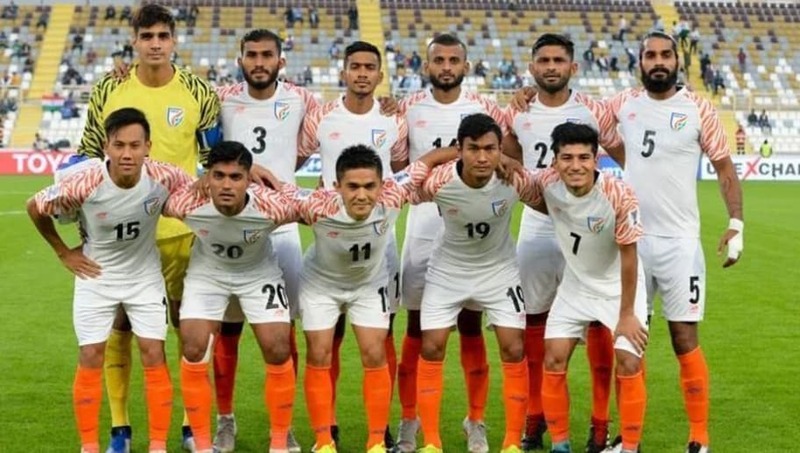 Most of us fans would have definitely liked to see India as part of the top 100, but typically based on the results our team has suffered, particularly in the AFC Asian Cup, this ranking cannot be called as one that is undeserved. In terms of Asian teams, Iran has seen one of the biggest jumps in their ranking, moving seven spots up to 22nd. There is no change or movement in the top 10 teams in world football from the previous ranking. Belgium remain first, followed by France, Brazil and Croatia as part of the top four. England lie fifth, ahead of Portugal, Uruguay, Switzerland, Spain and Denmark who form the top 10.